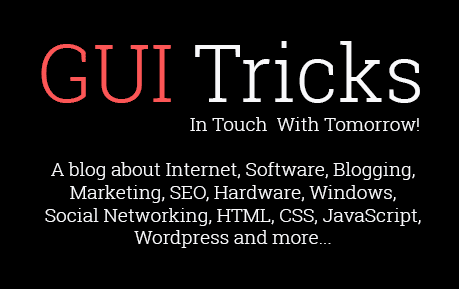 Buying Quality Used Laptop Computers | GUI Tricks - In Touch With Tomorrow! Buying Quality Used Laptop Computers - GUI Tricks - In Touch With Tomorrow! Buy used laptop computers? Some time ago, it would have been unthinkable. Laptops were a very costly investment, and their owners squeezed the last bit of life out of their purchase. The speed at which technology changes rewrote that scenario. Today, techies upgrade frequently to take advantage of all the newest bells and whistles. This leaves a large quantity of "gently" used laptops available for resale. Everyone is thinking green these days, and a whole computer industry segment sprang up devoted to buying and eventually reselling used laptops. Despite the state of the economy and personal finances, business people and parents with teenagers are learning that a laptop is a necessity to compete. If you are a parent with a child that is college bound, you’re going to have to bite the bullet. The good news is that there are quality used laptops for sale; buying one could mean some huge savings. Are you going to get software CDs or DVDs? Without the disks, any problems down the road will mean you have to buy a new OS or other essential programs. This will add considerably to the cost of your used laptop. Secondly, is the used laptop still under warranty? A growing number of extended warranties are transferable to second generation users. But, you will need the original receipt and warranty documents from the seller. Be sure to ask the vendor to ship them with your device. When you can inspect your used laptop computer, what potential problems do you look for? First of all, except that there will be surface wear and tear-- this has nothing to do with the inner workings of the used laptop. The screen should not have any pink or purple discoloration. Test all the plugs, sockets, and inputs. If something vital doesn’t work, it’s likely connected to the motherboard. Send it back. Test how long the laptop battery works and if it is still rechargeable. Some older batteries develop memory and may have to be replaced. Of course, test the hard drive for errors. You should also run all the functions of the media drives. Play and burn CD’s and DVD’s. If there are issues with any of these drives, replacements are relatively inexpensive. Buy used laptops It is your call whether you feel you saved enough up front to warrant the additional expense. 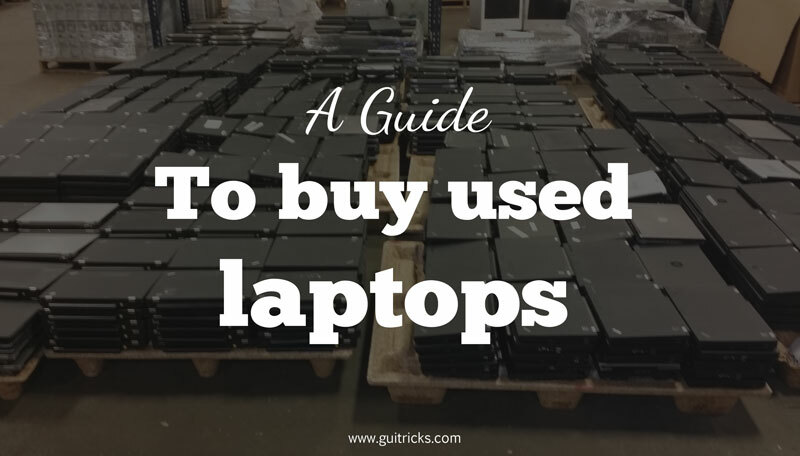 Remember that buying a used laptop is much like buying a used car. There are levels of risk depending on where you purchase it. You need to do your homework and check out the seller’s reputation carefully, especially if you are buying online. Buying a used laptop computer online means you cannot test and inspect the product beforehand. You have to take the seller’s word for its condition. Excited by the possibilities? So, where do you look for used laptops? You have access to the OS and software licenses. You are safe from any Trojan or security issues when buying from the manufacturer. One tip is to sign up with the manufacturer of your choice. If you’re on their email list, they often send unadvertised specials at certain times of the year. For example, HP recently had a Back to School promotion where their refurbished laptops were priced between $299.00 and $450.00. Amazon also sells used laptops. A recent search for used laptops there returned over 2,000 results. Amazon has excellent customer service and stands behind their products; even those from outside sellers who are a part of their "Fulfillment by Amazon" program. Auctions on eBay are another option for buying used laptop computers. Check the seller’s feedback carefully; if it’s anything less than 100%, keep looking. Again, eBay will help you resolve issues if the used laptop was not what the seller represented it to be. Sometimes, describing a product’s condition as “gently used” means different things to different people. Finally, how about Craigslist? This is a local option. With Craigslist, you have the opportunity to see and test the used laptop computer before you buy. Of course, you have to meet with the seller, and some people are uncomfortable with that scenario. Be safe and pick a public place to meet. If you are searching for used laptops for programming students, check out this article – Top 10 programming laptop lists. HP used laptop are not good and they over-heat very soon. so which one would you prefer? The stupidly low screen resolution and panel type on the Air is seriously starting to hurt it. I love mine still, and think it will go down as one of the greatest laptops ever made, but the competition is starting to make it look very long n the tooth. And the new Macbook, from the reviews I am seeing, seems a lttle too cutting edge except for avid Apple early adopters. I’ve been very happy with my MacBook Air, which has a battery life of 12 hours. I’m planning on taking a 10-day trip overseas this summer, and while it’s a vacation, I feel that I should be able to do a little work if necessary (as a solo, if I’m not working I’m not earning). So I may get a really inexpensive laptop, maybe a chromebook, for the trip rather than risk losing my MacBook. HP laptops are terrible. Unless you have to have a glossy display, get a refurb ThinkPad. Christmas is approaching fast – any idea when you’ll have an update for Best Cheap Laptop? No, we don't have any update about it.